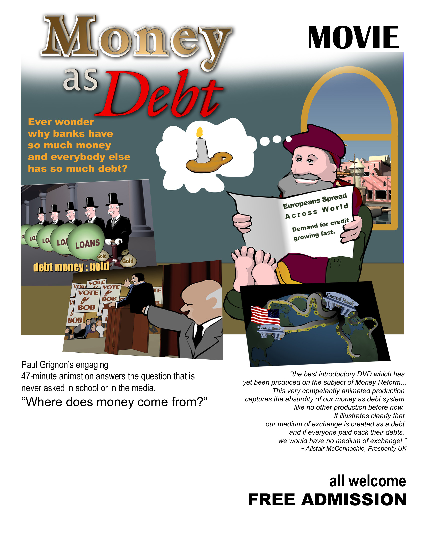 Fourth Corner Exchange is the Pacific Northwest (USA) chapter of the Life Currency Cooperative Exchange, an Alternative Monetary System that supports a cooperative economy. 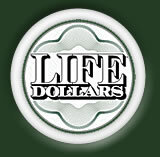 The Life Currency Cooperative Exchange has hundreds of members in the USA and around the world. New Member Webinar Sunday October 14th @ Noon. See our meetings page for details. Fourth Corner Exchange, which is the founding chapter of the Life Currency Cooperative Exchange, was originally created by Francis Ayley and a small group of friends in 2002, and formally started trading in January 2004. From those small beginnings we have grown and our members now exchange a large selection of goods & services throughout the Pacific Northwest and beyond, centered around Bellingham, Port Townsend and Seattle in Washington State USA. Our mission is to create this world of economic democracy by rebuilding our communities through teaching people how to use our alternative money system in a socially just and responsible manner. You can join Fourth Corner Exchange and bring the benefits of our community currency to your community. In North America our unit of currency is the 'Life Dollar', which we use in a somewhat different manner to Ithaca Hours and Time Banks. Life Dollars have many advantages over other local, complimentary and alternative currencies, and significant advantages over bank issued money. At Fourth Corner Exchange, we are social entrepreneurs who recognize that our traditional money system creates serious social problems, which devastate our local economies by removing money from local communities and transferring it to large corporations and financial centers, leaving the people without a medium of exchange at a local community level. This stifles local trade, unnecessarily suffocating the local economies of thousands of communities throughout the USA (and the world), destroying their ability to exchange available goods and services, creating unemployment, poverty and a pervasive sense of disempowerment and despair. Our traditional money system destroys local communities by denying them adequate access to a universal medium of exchange, which is necessary to facilitate trade. There are strong arguments against the traditional money system that suggest we need monetary reform. There is also the debt problem. Visit the U.S. National Debt Clock to read about this. As an alternative monetary system Life Dollars replace the money drained away, allowing the people to continue trading the essentials of life. Fourth Corner Exchange Life Dollars cannot be removed from the communities in which they circulate, because the members issue Life Dollars as and when they need them by trading their goods and services within their communities. This is democratic money, issued in sufficiency by the people to meet all their local trading needs. Bank money is issued in scarcity for the private profit of the banks and multi-national corporations, who frequently act antisocially at a community and environmental levels. When the next recession (like now) or depression hits the mainstream economy, our members will continue to trade as if nothing has happened. Fourth Corner Exchange Life Dollars are immune to the unstable vacillations of the mainstream economy. They retain their value and continue to perform their primary purpose of facilitating trade between members under all conditions and at all times. Traditional bank-issued money has never been capable of performing this simple social task. This has always been its main failing. Join Now or Make a Donation to Support us in building the New Alternative Cooperative Economy.